As time passes by, we move ahead into a different age. Each phase of life affects man in its own myriad way. This photo series is an amalgam how age has its own effect on life and vice versa. From Childhood to Old age; feelings, expressions, body language, activities, priorities, responsibilities, etc change dynamically. This is an attempt to capture those moments. 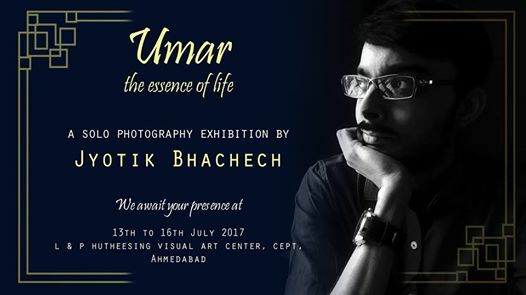 Cherish “Umar”, it’s the essence of Life. Jyotik Bhachech is a Psychiatrist by profession and a photographer by passion. Jyotik started his journey with a compact digicam in 2010 without restricting himself to a specific genre of photography. Over a period of time, Now his mind runs into streets and candids. His art is recognized in various local as well as national media and photo contests. Apart from this, his poster received the best poster award from Gujarat Forest Department in 2013 which was awarded at the auspicious hands of former Hon’ble Chief Minister and now the Hon’ble Prime Minister of India. A sensitive mind of Jyotik dwells across roads, festivals, markets, nature, etc and captures the same through his lens.